Not to sound too dramatic — or maybe that should be melodramatic — right out of the gate, but it strikes me that any way you look at it, the much-vaunted “age of reason” is over. Oh, sure, social and political commentators have been telling us at least since the elevation of Donald Trump to the presidency, if not earlier, that we are living in a “post-truth world,” but I think that misses the larger point : things are happening so fast, and they’re coming at us from so many directions simultaneously, that for many, it’s simply flat-out impossible to determine what the truth even is anymore. 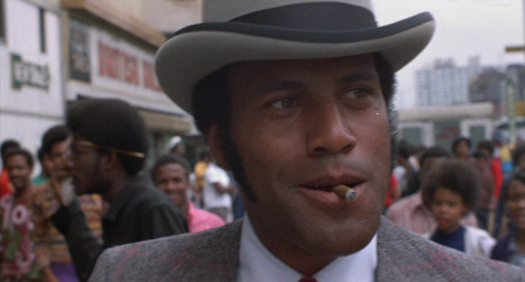 1972’s blockbuster smash THE GODFATHER began an onslaught of gangster movies released to your neighborhood theaters and drive-ins trying to capitalize on that film’s success. American-International Pictures was right in the thick of it, and since Blaxploitation was all the rage at the time, why not combine the two hottest genres? 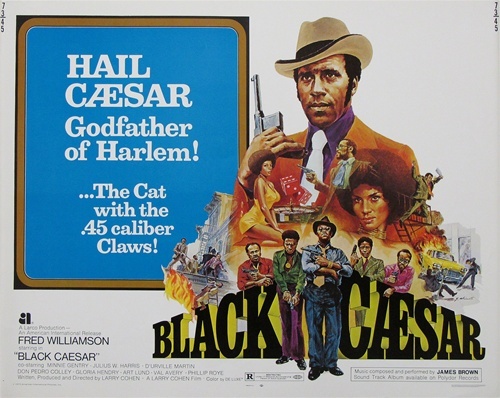 Producer/director/genius Larry Cohen already had a script written for Sammy Davis Jr., but when Sammy backed out, AIP Boss of Bosses Samuel Z. Arkoff signed Fred “The Hammer” Williamson to star as the Godfather of Harlem, BLACK CAESAR.